Yes, you need one. Right Now. It is important insurance. A general, durable power of attorney authorizes your attorney-in-fact (agent) to carry on any business matter which you yourself could do. It becomes effective immediately when you sign it. We make it “durable” so that it continues to give power even if you become unable to act yourself. We make it “general” so that your agent can do almost anything you could do yourself. Why would I want a power of attorney? Think of all the reasons you could unexpectedly be unable to write a check and you will see that this can become very important, very suddenly. If you, or someone you love, suddenly became ill, you would not want to add legal complexities to the difficulties of a serious illness. We recommend that you act in advance when there is no emergency to make this less stressful. But, I am married and my spouse will automatically act for me! Not so. Your spouse can sign a check on a joint account, but that is about the extent of their authority. There is no automatic right of spouses to sign business transactions for each other. Your spouse would need a power of attorney to talk to your insurance company about your policy, change your information on your retirement policy, borrow money, sell your car, sell your home, or a host of other important legal and financial activities. There is no one I trust to handle my business for me! It is true that many people have children and friends who may simply want their money. Good for you if you recognize that and consider it a problem. Now, how to find someone? Do you have a church? Talk to your pastor about a trustworthy advisor. If not, consult a lawyer or a CPA. They can help you find someone trustworthy to help you with your finances. In order to protect yourself from professionals who make recommendations for their own personal gain, seek out someone who charges for their services and sends you elsewhere to make investments. Once you have some trusted professionals, you can discuss with them how to find a trustworthy person to hold this important power for you. 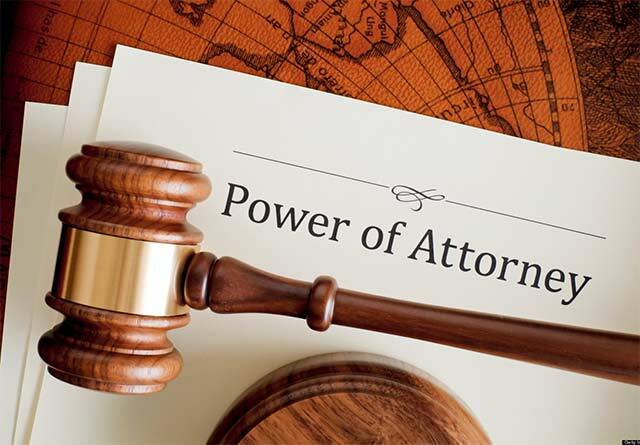 Once I have a power of attorney, how do I manage it? Once you have signed a power of attorney, do not record it or make it public. Do not give it to your agent. Tell your trusted people where you are keeping it. Store it away safely with your other important papers. Make sure that the agent knows your safe place. Then, if something should happen, your agent can go get the document and begin to use it in a plan to care for you until you are able to handle things on your own again. If you never get sick, great! You did not need to collect on this bit of insurance. However, if you suddenly become sick or incompetent and you do not have a power of attorney, your family will have to go to the Clerk of Court and ask that you be ruled incompetent. Someone, a family member, Social Services, or a private agent that provides these services, will need to become guardian of your money as well as guardian of you. This requires a bond and annual accountings that are complex. Accounting requires a detail of financial recordkeeping that is beyond most family members. This is especially true when a family member is sick and needing a lot of care. So, a power of attorney can simplify things tremendously for care givers in the future. Can I revoke a Power of Attorney once I have signed it? Yes, you can revoke it easily. That is one reason we recommend that you do not record it at the Register of Deeds when you sign it. If it is not recorded, you can revoke it by simply tearing it up. If you have recorded it or do not have the original to destroy, it can still be revoked, but it takes a few procedures to accomplish. We can help with that. You would certainly want to revoke it at any time you think your agent is no longer trustworthy to you. For instance, when spouses separate, we recommend that they each revoke their powers of attorney. Divorce does not automatically revoke a power of attorney. You would also want to revoke it if you lose track of the agent named, if their circumstances change substantially, or if another person is now closer and more trusted.